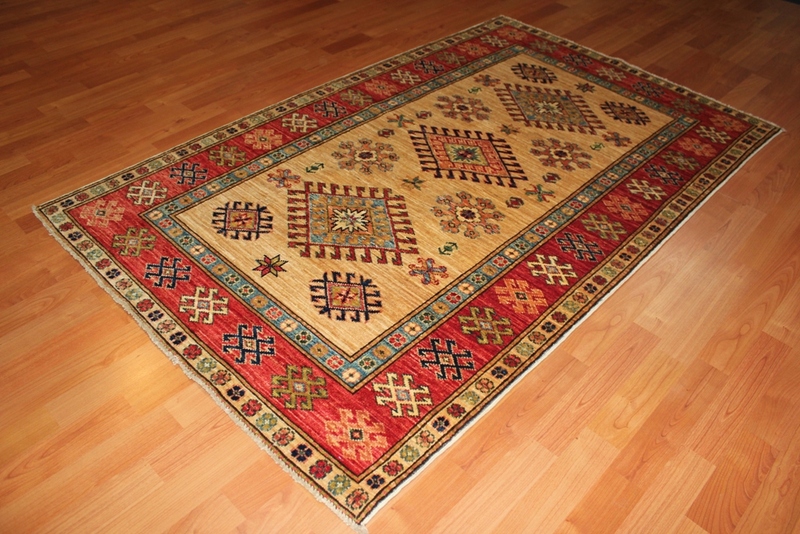 Traditional Kazak rugs offer luxurious soft wool pile woven onto cotton warp and weft (the rugs foundation) and the colours are achieved using all natural dyes. Rich Reds, terracotta, blues, creams and golds make up the vibrant palette of these classic old Caucasian geometric designs, usually with a short cut pile providing a beautiful sheen to the wool and silk like to touch. Today Kazak rugs and larger carpets are hand knotted by Afghan weavers and often brought to carpet markets in Pakistan to be sold to international dealers. *Due to the handmade nature of this product, it is a one-off therefore other rugs will have variations in design and size. Why not add some Underlay for your new rug? Underlay is 50% Off when purchasing a rug/cleaning/repair. Use Underlay discount code underlay50 at checkout.